Darlings, it’s Couture Week. Put on the most creative thing you can find right now, svp. 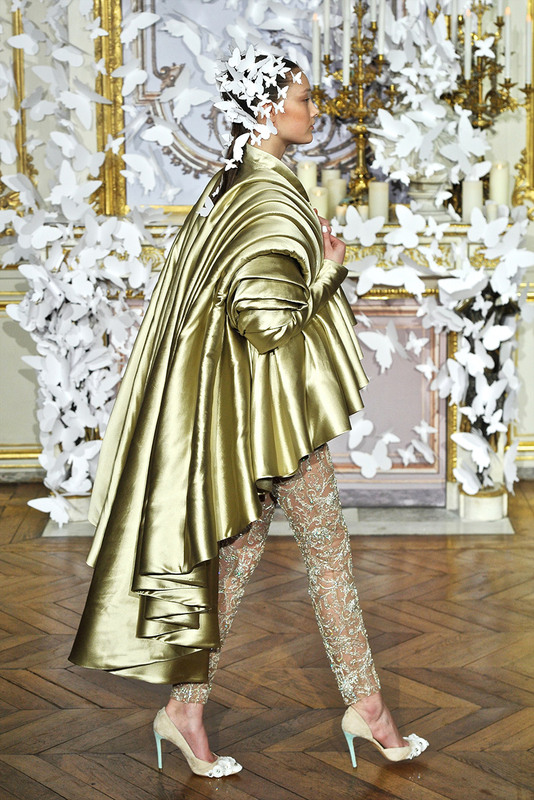 I adored Alexis Mabille’s collection – I’ve always followed along and am so happy to see him shine. After a humdrum day on the couture runways, this screamed BONJOUR COUTURE! Take a regal stance this spring. I have a few more ideas about this collection. À demain. Image: Marcus Tondo / Indigitalimages.com via Style.com.